The health care costs that Americans pay out-of-pocket are rising--both in total amount, which is perhaps not a surprise, but also as a share of incomes, which is perhaps more disturbing. 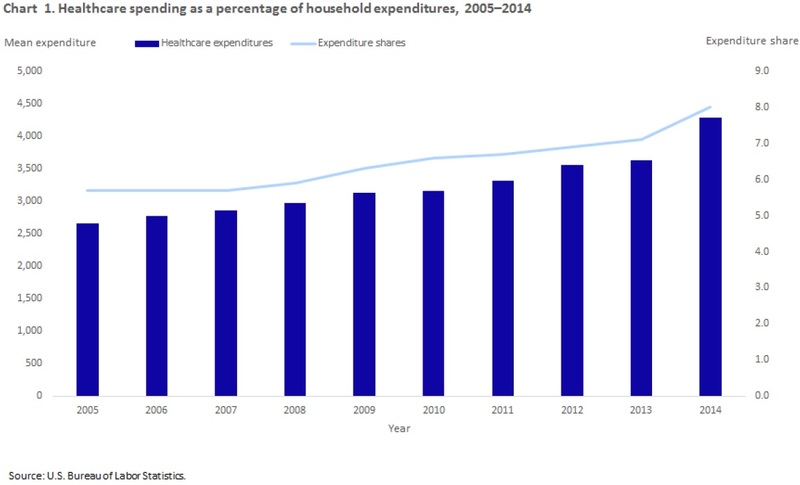 Ann Foster discusses the pattern in "Household healthcare spending in 2014," written as a "Beyond the Numbers" short essay for the US Bureau of Labor Statistics (August 2016, vol. 5, no. 13). She has lots of details of spending in particular areas, but here's an overall figure showing out-of-pocket spending by households as a total amount (left axis) and as share of total expenditures (right-hand axis). "[T]he share of covered workers in plans with a general annual deductible has increased significantly over time: from 55% in 2006, to 74% in 2011, to 83% in 2016, as have the average deductible amounts for covered workers in plans with deductibles: from $584 in 2006, to $991 in 2011, to $1,478 in 2016." Another simpler way to describe this information is just to look at what share of workers now have a deductible above a certain amount, like $1,000. This share has been rising for firrms of all sizes, but especially for smaller firms. I'll add that I'm not automatically opposed to higher out-of-pocket spending for certain kinds of health costs. One way of holding down the rise in health care costs is for patients and health care providers to be more sensitive to the cost implications of their choices. Most kinds of insurance against certain costs or damages--auto insurance, homeowner's insurance, and so on--have some form of out-of-pocket cost sharing for this reason. In the big picture, being protected against the risk of health care costs in the tens of thousands of dollars, or more, is quite important, even if it means you aren't protected against annual health care costs in the range of a few hundred or even several thousand dollars. But it's also wise to remember that the relatively modest rise in out-of-pocket health care costs above is a mixture of households with relatively little in such costs in most years, and other families that are consistently paying the full deductible--an amount which is rising fast--every year. High and rising deductibles will make a lot of people feel as if their health care doesn't offer them much benefit in a typical year. Will the US Become a Nation of Renters? 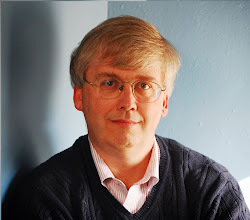 Arnold Harberger: Is Growth Yeast or Mushrooms? How Do the French Do it? What Do We Know About Angel Investors?